Coming up on October 12th is Seattle’s annual Urban Unveiled boutique wedding show at Benaroya Hall, and we’re excited to be sponsoring the event again this year! It’s spectacular evening full of delicious cocktails and treats, amazing wedding fashion, and many of the very best wedding professionals in the area. It’s a great chance to have a fun night out while getting to know more about the products and services available for your wedding day. I’m very happy to say that we have 10 tickets to give away today, so if you’d like to attend, please leave us a comment here and we’ll choose 5 people to receive a complimentary pair of tickets to Urban Unveiled 2011! We’ll accept entries through tomorrow, Friday September 23rd and then choose our winners on Saturday. (Please note that wedding professionals are not eligible for this giveaway, couples planning their weddings only)! UPDATE! We have our winners! Congrats to Jennifer Ly, Jenni, Susan Scott, Kaeleigh McHenry, and Shannon of ** Happiness Is…**, we can’t wait to see you at Urban Unveiled! We would absolutely love to meet our local Junebug readers at the show, so please come say hello on the big night! Free Tickets for Urban Unveiled! I am planning a summer 2013 wedding in the beautiful Northwest and absolutely love your blog- very inspiring! I would be thrilled to win a pair of tickets to the Urban Unveiled event! =). Looking forward to Urban Unveiled to visit with my friends and peers and to network with new acquaintances. I just started planning and would love to attend this event! My fiance and I are booking our venue this week (so excited!) 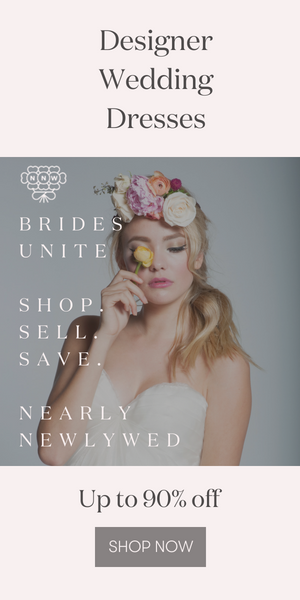 and have less than a year to plan everything else…we would love to attend Urban Unveiled to get ideas and meet vendors! I would absolutely LOVE to attend this event. I am a wedding planner who aspires to run my business full time some day, and this would set expectations without a doubt of what to expect planning the exquisite event. Would also love the opportunity to network with vendors outside of the Tacoma area! What a wonderful opportunity! I’d absolutely LOVE to attend! I would be so thrilled to attend this amazing event! I have been planning my wedding for several months now, and my head is so jam-packed with ideas… I need a little guidance! :) Thank you for affording your readers this incredible opportunity!